Over the last couple of months, the crypto currency markets have been relatively quiet. This has been seen in Bitcoin, Dash, Stellar, and many more. 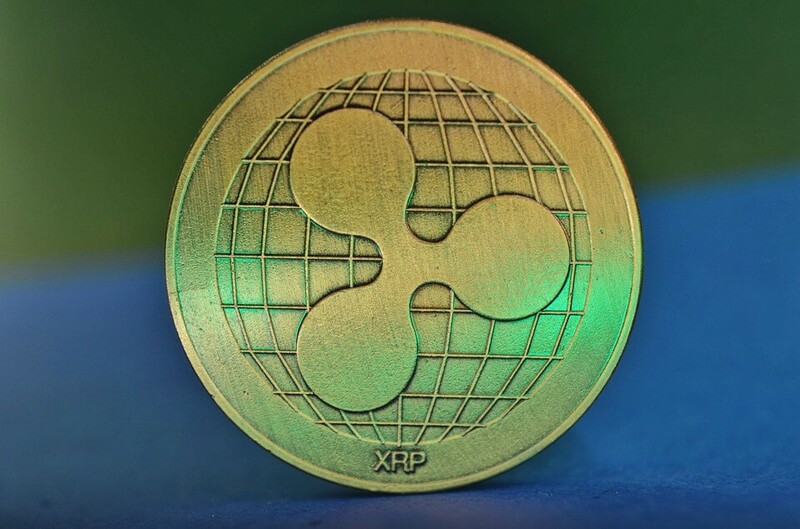 Of course, Ripple hasn’t been any different as the crypto currency market tends to move in the same direction overall. When I look at this chart, it’s very easy to see that $0.30 has offered significant support since the beginning of December 2018. That of course is a good sign, because with all of the hot money that had flown into the crypto currency market made things a bit unrealistic through most of 2017, and after a bubble pops it’s quite often common to see markets do very little and try to find some type of stability. At this point, the $0.30 level looks to be a very good candidate when it comes to Ripple. Beyond that, we have the 50 day EMA which is just above current trading, sitting at roughly $0.32. If we can break above that, it should send this market looking towards the 200 day EMA, which is closer to the $0.40 level. Ripple tends to move suddenly once it does get a little bit of momentum, and the fact that we are simply grinding away here suggests that perhaps we are going to continue to see markets in this accumulation phase, followed by a sudden burst higher. So obviously, the solution is to accumulate Ripple while you can. Jesse Livermore was one of the greatest traders of all time. He was famously quoted as saying “as traders, we get paid to wait.” In other words, he was saying that you can’t necessarily expect to make sudden profits all the time, and therefore you need to wait for the proper opportunity. It is at this point that Ripple looks to be. After all, this has been an area of support in the past, so it’s very likely that we will continue to see a bit of “market memory” in this area. It is in these times of great accumulation that wealth is truly made. By thinking more along the lines of an investor, it’s possible that you can ride out the major move to at least the $0.50 level, and if we can break above there we could go much higher. Quite frankly, you need to see Bitcoin rallied significantly as well, as it tends to lead the way for the rest of the crypto markets. Looking at this chart, I think that the main take away is pretty simple: we are watching people accumulate more Ripple for the longer-term. This is in an investment, and not a trade. 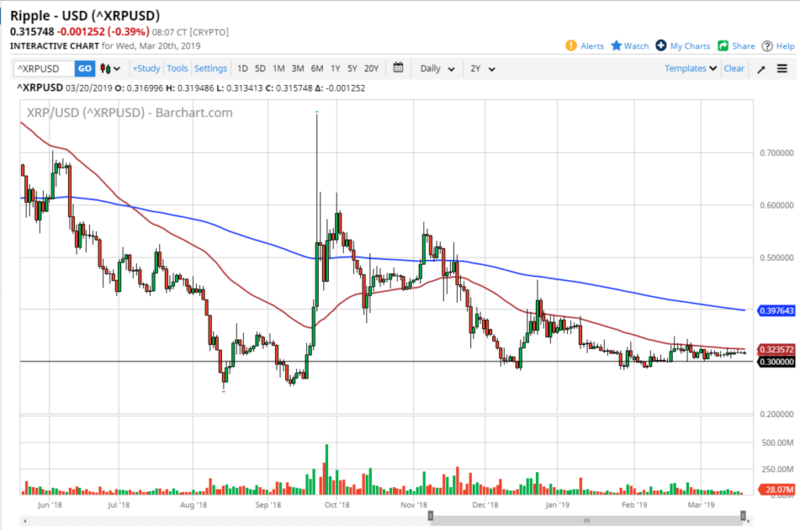 Quite frankly, we could be close to the long term bottom, as it seems that enough of the hype has been socked out of the crypto currency market that we might be able to see longer-term investors take over again. Gone are the YouTube videos of people talking about their new Lamborghinis they bought with crypto currency, and now were starting to see institutional flow which is much more bullish. That being said, do not expect major “to the moon” rallies. 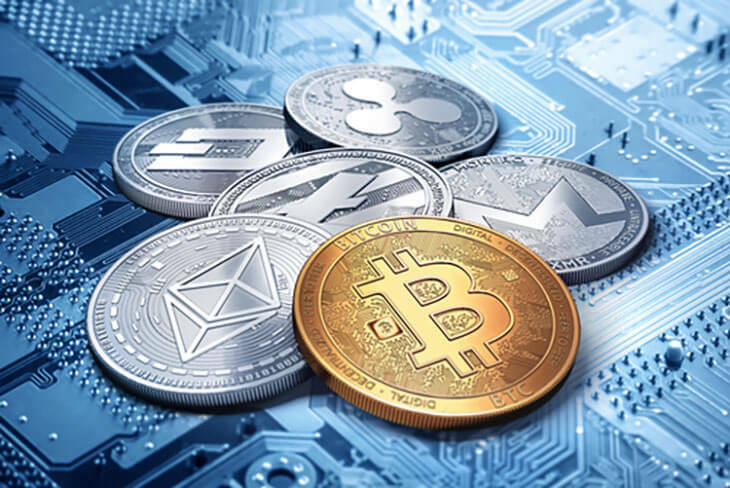 Cryptocurrencies are going to become a mature market soon enough, and therefore they will act more like fiat currencies as far as trading and investing is concerned.